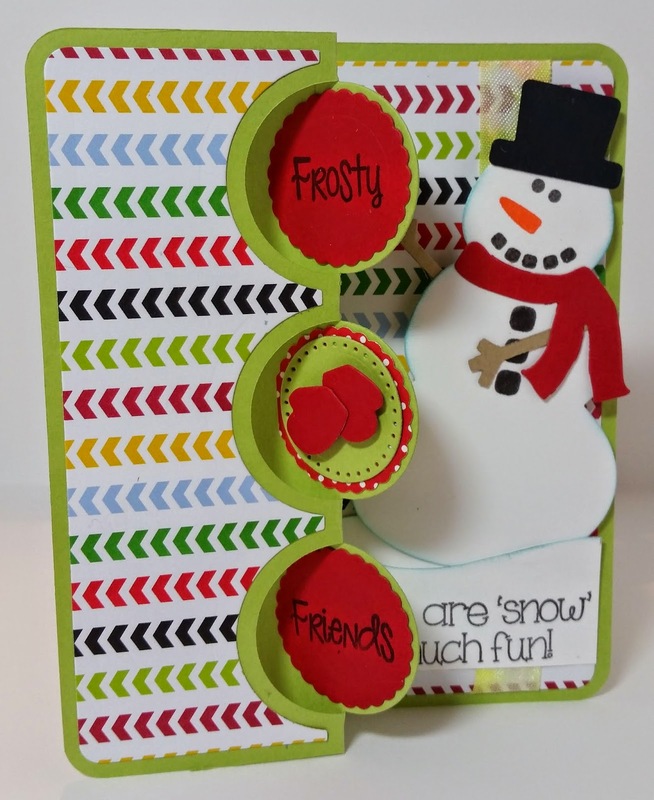 The card today is in honor of all the snow we have gotten lately I imagine there will be lots of Frosty Friends appearing all over town. Maybe one will even show up in our own back yard. The grand kids had their first snow day of the school year but I am not sure it will be the last because we are expecting more to come soon. It is hard to believe that last weekend the temps were in the high 50's.